record-cabinet has no other items for sale. Details about 78rpm ADOLF LOELTGEN sings OBERMEYER+​BOHM - HIS ONLY RECORDING ! 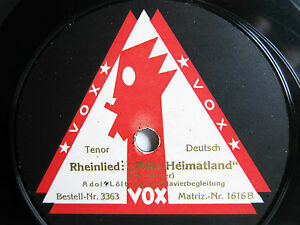 78rpm ADOLF LOELTGEN sings OBERMEYER+​BOHM - HIS ONLY RECORDING !